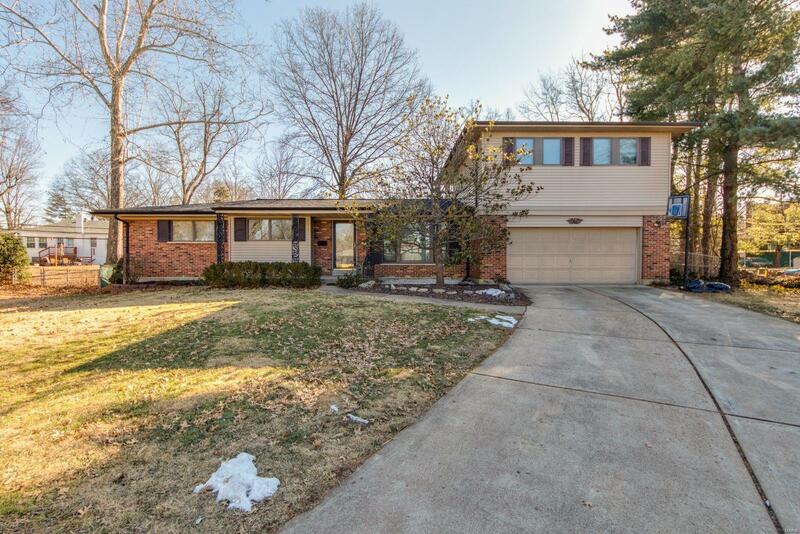 This Brick Kirkwood home is full of surprises! 2 Master Suites! In-Ground Pool! Magnolia Tree! Upper Level Master Suite features a whirlpool tub, walk in closet & a panoramic view though custom windows and is accessed by a attrative Spiral Staircase! Main Level Master has hard wood floors under vinyl and new vanity in the bathroom. Enter the Living and Dining Rooms with flow to the Great Room with Fireplace and wonderful view of the In Ground Pool. Updated Kitchen features custom cabinetry, breakfast bar & access to the deck and pool area. Host fun family gatherings! Updates include upper master bedroom and bath, family room with fireplace, pool, deck and patio, remodeled kitchen and bath. The LL Rec Room features a wood burning stove/fireplace, pool table and plenty of room for a family room area and an extra sleeping room/office. Kirkwood Schools. Conveniently located close to shopping, parks, restaurants, highways and walkable neighborhood. Quiet neighborhood on Cul de sac.